I am a DevOps engineer at SQUADEX, an AWS Partner Network (APN) Advanced Consulting Partner with AWS Competencies in DevOps, Data & Analytics, and Machine Learning. 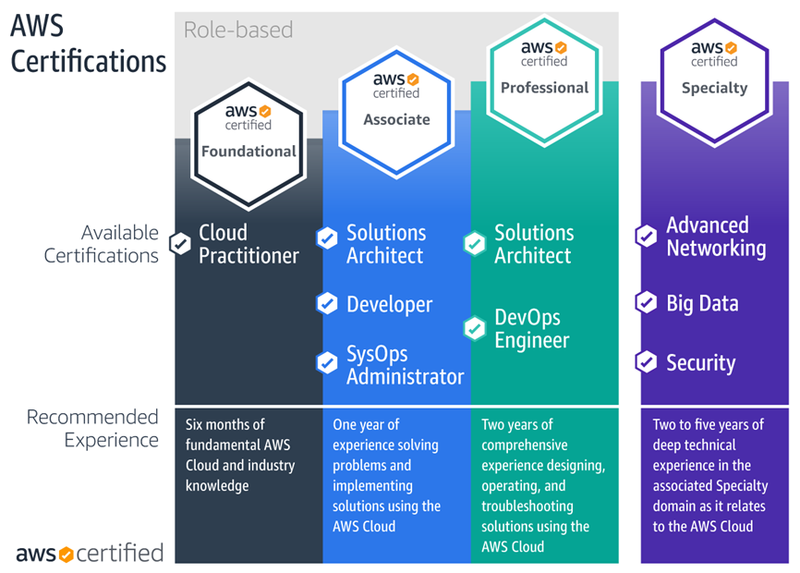 In this post, I will share the details of how I got certified by Amazon Web Services (AWS) and gained the cloud industry’s most coveted AWS Developer Associate, AWS Solutions Architect Pro, and AWS DevOps Engineer Pro certifications. I have more than 13 years of IT experience and have worked as a DevOps, Ops, and SysAdmin. I’ve been extensively using AWS services for around seven years and seen a myriad of varying AWS-powered projects in different industries. Nowadays, I am a DevOps Engineer at SQUADEX, a cloud transformation consultancy from Palo Alto, Calif. I am responsible for a rather big NDA project that delves into the artificial intelligence (AI) and machine learning (ML) spaces. The platform my team and I are working on consists of 400+ instances and is supported by many AWS services and tools that we have been gradually incorporating to reinforce and enhance the platform. But let’s get back to AWS and my certifications. That’s what you’re here for, right? To begin with, I would like to answer a simple question: Is it worth it to get AWS Certified? 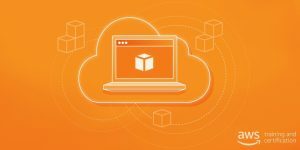 Reinforce your knowledge about AWS tools, such as Amazon Elastic Compute Cloud (Amazon EC2), Amazon Simple Storage Service (Amazon S3), Amazon Relational Database Service (Amazon RDS), and AWS Identity and Access Management (IAM), to name a few. Explore how multiple AWS services are connected and how they amplify each other. Try a wide variety of useful but less known AWS services that most practitioners might be unaware of. Gain greater insight into AWS pricing and billing to build more cost-efficient solutions. AWS is flexible in their approach to certifications, so you’re able to pursue the certification exam you feel is most appropriately matched to your skills, professional experience, and interests. The majority of certifications are currently intended for SRE/Architects, Developers, and Ops/SysAdmins. The Foundational (AWS Certified Cloud Practitioner) level is intended for individuals who are looking to build and validate overall understanding of the AWS Cloud. It’s useful for individuals in technical, managerial, sales, purchasing, or financial roles who work on AWS. Before I dive into the Professional level later on in this post, it’s important to mention that at the end of 2018, AWS Certification announced that customers now have the option to attempt any exam at any time, regardless of level or type. Companies are becoming more and more interested in getting as many employees trained and certified so they can build customer confidence. AWS Certifications prove a company’s expertise in using AWS and open doors to a partnership with AWS as a service provider in the APN. I began my AWS Certification journey back in 2016 when I gained my AWS Certified Solutions Architect – Associate in the San Jose certification center. To maintain your AWS Certified status, AWS requires you to periodically demonstrate your continued expertise on the platform through a process called recertification. In 2018, the AWS recertification policy was to recertify every two (2) years by taking a standalone recertification exam. Recently, however, the policy was changed to recertify every three (3) years by taking the latest version of the full-length exam, rather than a standalone recertification exam. As of March 3, 2019, AWS will no longer offer standalone recertification exams. AWS Certified individuals now have access to a 50 percent discount voucher that can be applied to any exam. These vouchers are available in your AWS Certification Account. 65 multiple-choice, multiple-answer questions packed into 130 minutes of certification time. Questions are rather simple. For instance, what is the limit of Amazon S3 buckets per one account by default? In total, you have to provide replies to 80 multiple-choice, multiple-answer questions within up to three hours. All questions are based on real-world scenarios. For example, you can get a long story about an e-commerce website that tries to resolve a few specific issues. You get a description of the problem and 4-5 answer options. All answers may seem correct, yet you need to choose the only answer that fits or a combination of answers. When you’re trying to pass any certification at the Professional level, make sure you have prepared well. You will not do well should you pick any answer by a process of elimination. The most complex problem with the Professional-level certifications is comprehending the entire question. Each may be worth one or two pages of content, with issues and other crucial specifics sprinkled in the text. Bear in mind that AWS is constantly upgrading and enhancing the exams. For instance, they have refreshed most exams heading into 2019. Pay close attention to that while preparing to the certification. Given the complexity of the Professional-level questions, these certification exams are available in English, Simplified Chinese, Japanese, and Korean. If you don’t know any of these languages, you can reach out to AWS to get an additional half hour to your certification time. I managed to pass the Professional-level certification in English without any “spare” 30 minutes. Around 10 minutes remained at the end of the exam. If you’re not that good at English, you’re better off notifying AWS. Access the certification page > Upcoming Exams > Request Exam Accommodations > Accommodation Type: ESL +30 min. You need to contact AWS before the exam. Once you have successfully submitted the request, you will be getting the additional 30 minutes at the forthcoming exams as well. The AWS Training and Certification Portal is your destination if you want to learn more about AWS certification options as well as get prepared for it. Basically, this is your ultimate platform where you can register and navigate through your certification journey, including picking certification time, paying for your certification exam, getting your PDF certificate and validation link, checking out exam history, requesting specific services for people with disabilities, and so on. When it’s time to take your exam at the test center, you’re required to provide two forms of government-issued ID at the test center and your name must what’s on the ID exactly or you will not be allowed to test and will forfeit the fees. Please note that you cannot take any belongings with you to the certification area. AWS has a wealth of free digital training and in-depth classroom training you have access to. AWS does not require that you complete their training to get prepared, but these options should not be overlooked as they are a great resource since they’re all built by the AWS experts themselves. I opted for online courses by Linux Academy and, truth be told, I would recommend their course to anyone who wants to approach AWS certification seriously. Linux Academy is a massive, pay-per-month platform that allows you to instantly access any content for any cloud provider or tool. The good news is, your experience is not limited by videos. You get lots of practice as well. The exercises are based on their infrastructure and ensure you can feel out every technology and every tool. On top of that, their website sports multiple intermediate tests and regularly updated documentation. Linux Academy features the content you are required to work through to pass the certification: video lessons, AWS documentation, white papers, infrastructure for practice, and more. You can create and save flash cards and reach out to the forum community if you have any questions. To use the platform you do not need to have an AWS account. The courses by Linux Academy are so valuable that I routinely get back to the content to rewatch some parts when digging the real-world projects. In the meantime, my friends relied on courses by A Cloud Guru. Their platform is convenient because you can purchase content by course without having to pay monthly fees. Of course, there’s no shortage of AWS Certification courses on Udemy as well. For instance, you can access designated courses of Linux Academy and A Cloud Guru there. AWS recommends you have at least one year of AWS experience before attempting to get the Associate-level certification, and at least a few years for the Professional-level certification. Although these are not requirements, it makes sense to follow the recommendation. The more years of AWS experience you have, the easier it will be to prepare. The amount of content you’ll have to work through differs a lot. For instance, Developer Associate is 13 hours of videos, whereas the AWS Certified Solutions Architect – Associate is more than 28 hours of videos. And don’t forget you have lots of other stuff to learn aside from watching videos. As I previously mentioned, I took my first AWS Certified Solutions Architect – Associate exam back in 2016. It took me around a month to prepare for it, but I had a few years using AWS by then. In comparison, it took me just two weeks to get ready to the AWS Certified Developer – Associate exam. It could be done in less than two weeks, though. The test is pretty simple. I carved out a week for AWS Certified Solutions Architect – Professional, and only a few days for AWS Certified DevOps Engineer – Professional. I had to hurry up because our partnership with AWS was on the line. Because of that, the last exam was subjectively the most complex. To get prepared, I relied on Linux Academy and my own expertise. You might be wondering if it’s possible to successfully take the certification tests without the preparation stage. My experience says this is not possible. I suppose you could try that with the Associate-level exams, yet I would not recommend doing that at the Professional-level. I recommend taking a practice exam, which is half the price of a regular exam but quite similar to it. The only thing that differs in the number of questions. Once you have successfully passed the first exam, you will get trial tests for other exams for free. I took that one only once, in 2016. First things first, nobody knows the passing score. They say that it usually hovers around 65 percent. The passing score pretty much depends on the overall performance of those who have taken the test. In other words, it’s flexible and impossible to predict. You will learn the result once you have taken the test and receive an email with all the details. The certificate will get displayed in your account in a few business days. I hope this helps you prepare for AWS Certification. If you have any questions, please feel free to reach out. Good luck! SQUADEX is an AWS Competency Partner. They are a technology consulting and software engineering company that helps customers design, architect, migrate, and build new applications on AWS.